Has Hillary just abandoned Colorado to Donald Trump? We expected her to swing through after her poll numbers started dropping and the national party pulled her ads, but she’s sending her surrender monkey instead. We’d rather watch cows feed. Udall has been missing in action since he was defeated by Cory Gardner, wandering the great outdoors trying to find his special purpose, or something. 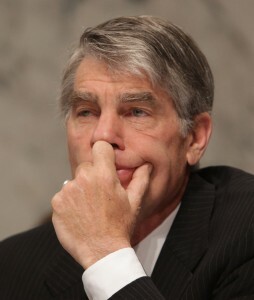 By bringing Udall into the fold, she’s probably hoping to drag some Bernie Sanders holdouts with him. Maybe if she spent more time holding public events and less time at Aspen fundraisers, she wouldn’t be in this mess. We kid. She would still be in this mess.